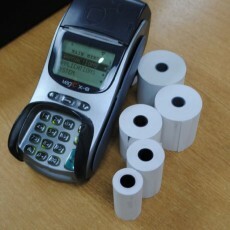 Printed till rolls are an essential consumable product for retail suppliers and tills. 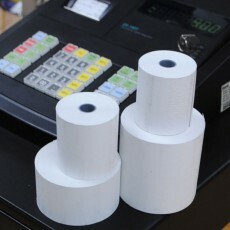 At Shop Fittings we carry a wide range of streamline thermal till rolls / PDQ rolls (credit card machine rolls) and grade a till rolls at cheap competitive prices but high quality manufacturing. We also stock a range of multi-ply rolls for restaurant and kitchen use. Click here to view our other shop supplies products such as stationery, pricing tickets and labels.